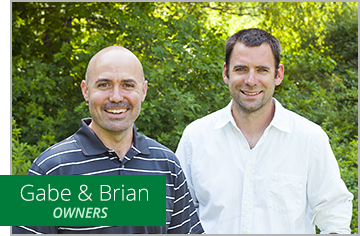 We created Forest City Landscaping because of our passion for the outdoors. We believe that every person should have a great yard, community or business in Middlesex County, Connecticut. With our vast knowledge of plant life, design expertise, planning and availability, we work to understand your needs and help your property have lasting value. We pride ourselves in outstanding service that is unsurpassed in our industry. As a full-service Landscape Contractor and Commercial Property Maintenance company, we go the extra mile to make sure our customers are completely satisfied and educated on what they are getting. Our knowledge of New England and Connecticut plants, trees, soil, and materials give us the confidence to provide a one-stop location for all your outdoor needs. Many other companies in our field don’t quite understand the nature of the seasons, and what that means for your yard and landscape. Forest City Landscaping has expert knowledge about seasonal plantings, wetlands plantings, excavation, grading, and much more that can mean a world of difference for your investment into your property. Why Choose Forest City Landscaping? With our years of experience, we understand how to solve problems, and to get the best quality property within any budget and timeline. We combine detailed planning and coordination of space to maximize the beauty and utility of each project. Our experts are educated and certified landscape architects, arborists, and landscapers, and we are a fully licensed and insured Connecticut business. Allow us the opportunity to deliver a superior product to you! We listen, are honest and reliable, and will exceed your expectations. Contact us, or use our convenient online form to get a free quote.